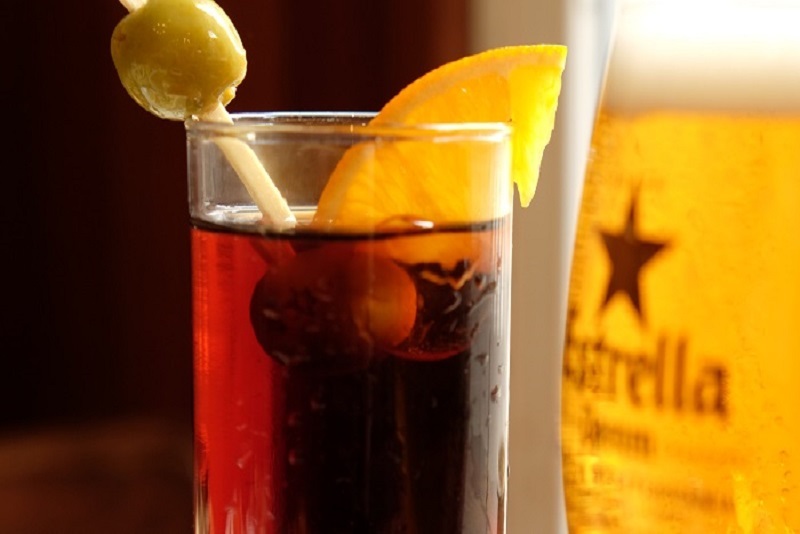 Vermouth is a liqueur and aperitif that goes back many years, has a rather sweet taste and is great for starting meals. One of the great specialties of the Jai-ca Bar is Vermouth. We use a unique recipe that we invented several years ago and allows us to serve one of the best vermouths in Barcelona. Finally, we added a secret ingredient that we can’t reveal ? White or red vermouth, which is better? White Vermouth is drier and with a little more alcohol, so black vermouth is more commonly consumed in snacks because it is sweeter and not as strong. Whether it is black or white, vermouth is a great option to start eating and enjoying good tapas in our restaurant. Bring your friends and invite them to a vermouth, you’ll see how they’ll be delighted and want to repeat it! better than a martini we assure you. Why drink a Vermouth at the Jai-ca? The harmony between alcohol and its extracts is difficult to achieve. You will notice in the Vermouth a pleasant taste of thyme with a balsamic background with a captivating reminiscence of hazelnuts and a slight touch of peppermint. All this combined makes the Vermouth of Bar Jai-ca worth trying and enjoying.